Most students have experienced the overwhelming feeling that comes with struggling in a class and receiving bad grades despite all your efforts. It’s a horrible feeling, especially when you need to decide what to do with the rest of your life and you know that your grades and GPA will be the key to unlocking acceptance to a university at home or abroad. You’re not the only person to go through this, and you don’t have to go through it alone. DAG has helped many students fulfil their dream of studying abroad despite having a low GPA. There are many options available to help you get on track to earning your degree and starting your career on the right foot. Read on to find out more about what a GPA is, how it’s calculated and what you can do if you have a low GPA. The Grade Point Average (GPA) system uses a scale from 1.0 to 4.0. The highest score (4.0) represents an A student, 3.0 a B student, and 2.0 a C student. Many universities consider anything less than a 3.0 to be a low GPA. A high GPA can almost guarantee you getting accepted into university, but a low or average GPA does not necessarily mean you will be rejected right away. How do you calculate GPA? To start off, credit hours are the total amount of time a student spends in classes. Grade points are the marks you receive for your subjects. GPA is calculated by dividing the average grade points a student achieves by the total credit hours attended by the student every semester. CGPA stands for Cumulative Grade Point Average. It is a number that expresses a student’s overall average performance throughout their academic program, be it a high school, a major, a bachelor’s program or a master’s program. DAG’s GPA resources can help you convert your CGPA to GPA. You can also find various GPA tools and GPA calculators online. Your final marks are the ones that count at the end of the day. Start focusing on your school work now to help improve your grades. Meet with a tutor if you are struggling to understand the material in class and need some extra attention, or join a study group to help keep you accountable when it comes to homework assignments, preparing for exams and meeting deadlines. Study groups can be fun: you get to socialize while studying and explaining the work to each other will help you to remember it better. A good place to start, especially if you just finished school, is to retake the subjects that were responsible for bringing down your GPA. This is especially a good idea while the work is still somewhat fresh in your memory. If you are struggling to understand the concepts taught in class, it’s a good idea to start attending tutoring classes. But don’t give up just because you are struggling! There is always someone out there – a private tutor or a former classmate – who will be willing to help you. There’s nothing wrong with retaking a class. In fact, maybe you’ll exceed expectations the second time around since you’ll already be familiar with the concepts and class material. In this case, the second time could be the charm! The IELTS/TOEFL exam is necessary for students whose first language is not English. Most schools list the minimum IELTS/TOEFL score that is required. If you, however, are able to secure an IELTS/TOEFL score that is better than the minimum requirement, then this will be a great highlight in your application. Getting a good SAT or ACT score will be a good indication for the university’s admissions team to consider that your GPA does not reflect your actual capabilities. A score of 1200 on the new SAT is considered to be an excellent score, placing you right up there among the top 25%. Pathway Programs are designed to assist students who need additional preparation to continue a degree program at a university. They give you the necessary skills and confidence to succeed in college. Pathway Programs are usually one-year programs and are a great way to get admission into a university. DAG has partnered with INTO to offer you the best Pathway Programs in the UK and US, here is a list of the schools that offer Pathway Programs. In general, a community college is a two-year higher learning institution that offers diplomas and transfer degrees. Community colleges are widespread in several US states and offer a great variety of study options for foreign students to choose from. US community colleges have comparatively relaxed admission requirements and have quite a diverse student population. Apart from a minimum GPA requirement, community colleges offer several other benefits such as relatively lower tuition fees and an option to transfer to fully accredited universities. It is one of the best starting points if your GPA does not meet university admission requirements. South Seattle College in Washington State offers business, arts and science transfer degrees, and a chance to transfer credits towards completion of a Bachelor’s Degree at Bastyr University, the world’s leading university in natural health arts and sciences. You would be surprised by how much this can help you get accepted to a university. If you have excelled at sports, are profoundly involved with theater or music, hold an important position at a club or organization, have even started your own business, or are very involved in volunteer or community service, be sure to highlight this in your application. Continuing your studies is about more than just good grades. It is also about taking initiative, making a change and being involved in the things around you. Universities are, after all, training our future leaders. Demonstrating to admissions officers that you have balanced your education with other activities outside of the classroom might distinguish you from other applicants, and could give them a great reason to accept you despite your lower GPA. Work experience or internship opportunities can also do wonders to offset a low GPA. Your teachers spend a lot of time with you. They know you much better than you think. Ask the teachers with whom you have a good relationship to write a recommendation for you. If you’re fortunate enough to have a mentor, you can also ask them for a recommendation letter. Sports coaches, counselors, and club or organization advisors are also great people to turn to for recommendation letters. These letters, written by trustworthy adults who have seen the way you learn, think and interact, will help the admissions officers to get to know your character and you as a person. Your personal statement is a blank canvas that you can use to describe and show who you are and why you deserve an acceptance letter. This is also another opportunity for you to show off your skills and accomplishments while the admission officers get to know you as a person. Take time to write a well-thought-out personal statement that will leave a lasting impression on the readers. Your personal SchoolApply education advisor can also help you with this crucial step as you go through the application journey. Now that you know how to improve your chances of getting accepted to a university or college, let’s take a look at some reputable schools that might be a good fit for you. 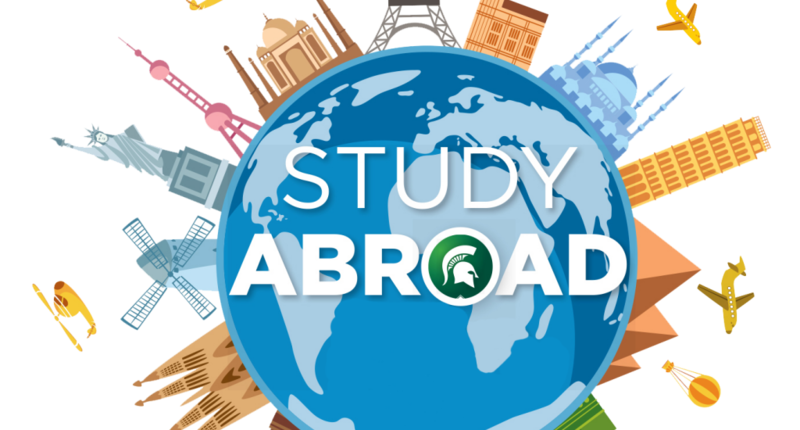 Applying to a school that is right for you will not only help you succeed academically, but it will also ensure that you enjoy your time abroad for the duration of your studies. DAG alumni with low GPAs have attended some of the schools below. Don’t let your GPA stop you from studying abroad. Sign up now!